Harmony, Minnesota has a grocery store, a pharmacy, four great restaurants with a menu that changes seasonally, bike trails that connect in with the county-wide trail system, an active historical society, the only movie theater in the county, a family-run cave that draws people from across the nation that became the first commercial cave powered 100% by solar energy, delightful antique shops, Amish-made furniture retailers, a child care and learning center, and a recycling manufacturer that makes 30% of its sales from 70 different countries. Harmony’s population? 1,023. Five years ago, Harmony added another amenity: the Harmony Area Community Foundation (HACF). 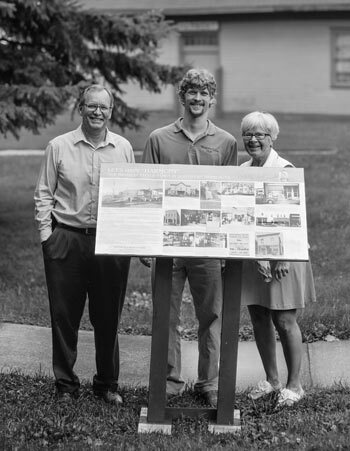 Since then, they’ve granted out over $100,000 for community improvements projects, ranging from a sound system anyone in the community can use for free for events to historical signage around town. Harmony Area Community Foundation is one of 27 local community foundations under SMIF’s umbrella. “A community foundation is one marker of a healthy community,” said SMIF President and CEO Tim Penny. “It shows that people are willing to invest in the future. It’s also a great way to leverage SMIF funds.” In total, SMIF has granted over $4.1 million through its community foundations for local projects. In Harmony alone, SMIF has contributed $46,000 to their endowment which will help the foundation carry out projects. A recent collaboration success story came from SMIF’s annual luncheon, where Tribon connected with a city leader from St. James. St. James had launched an internship program to teach kids about local work opportunities post-high school or college. After relentless convincing, Tribon persuaded the Harmony Area Chamber of Commerce this program could be a win-win-win for the community. With a $2,000 grant from HACF and a $2,000 matching grant from SMIF, four high schoolers from Harmony got first-hand experience in engineering, legal, marketing and retail sales positions in town. 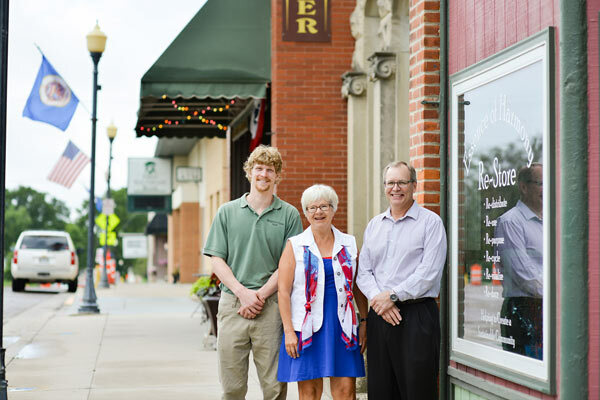 The goal of the student internship program is to raise student awareness about entrepreneurship and employment opportunities in the Harmony area, with the hope that kids will move back after college. The new historic signs were funded with a $10,000 Community Collaboration grant from SMIF, and more applications keep coming in to HACF. “People are starting to become more aware of us as resource,” said Harmony Mayor and HACF Board Member Steve Donney. 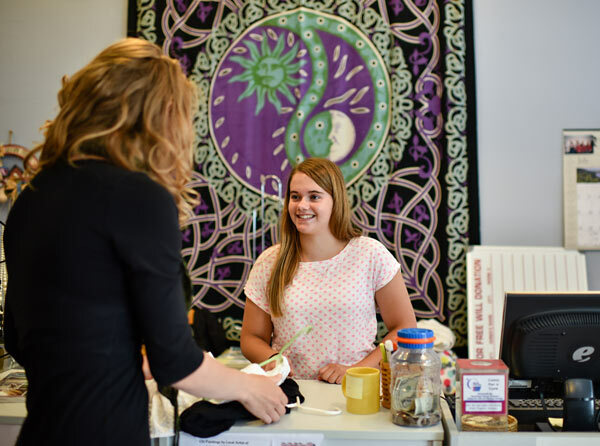 Kathryn Kinneberg is one of HACF’s student interns working at Essence, a restore shop on Harmony’s main street. With an aging population, Harmony leaders are thinking strategically about how to retain their young families, or make it a place they want to return to when the time comes to raise a family. Donney himself downsized from Rochester to Harmony in 1979 when he bought a local restaurant. 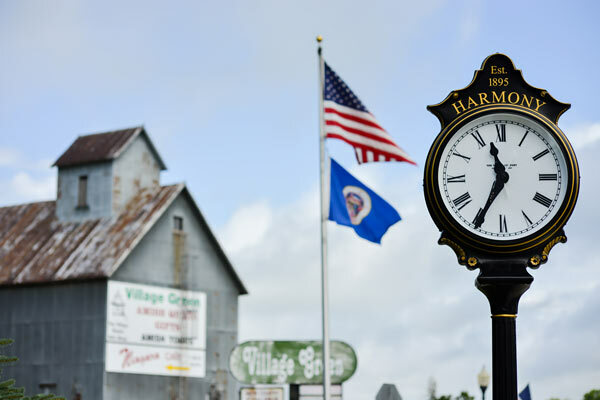 “Harmony has the oldest population in Fillmore County and I think Fillmore County has one of the oldest populations in the state,” he said. 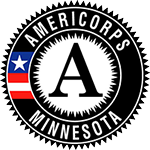 The internship program created by the community foundation is one strategy. Another is inviting younger residents to partake in leadership positions. In the 2016 Rural Pulse survey conducted by Blandin Foundation, 28% of people surveyed in SMIF’s region said they hadn’t been asked to serve in a leadership role, but 34% definitely would if asked. So far, Harmony’s efforts to have their kids return, rather than be a “brain drain” stat, seems to be paying off. Bishop estimates between 30-40% of kids he went to high school with have moved back, whether to farm, take up the family business, or invest in other ways. “One works at the new child care center, and another is a foundation board member, too,” he said. An added benefit of bringing in younger members is that HACF is also diversifying their donor base. “The thing about giving to the foundation, is it’s a win-win for Harmony because 100% of it goes back to Harmony,” said Tribon. “If you donate to anything else, there are administrative fees. Thank goodness for SMIF.” In addition to providing matching grants, SMIF provides a lot of back-end administrative support for its 27 community foundations to allow the foundations focus on fundraising and grantmaking. Learn more about SMIF's Affiliate Funds or donate to your local community fund.